A forest of pine trees passes through the Texas Electric Cooperatives, Inc.'s (TEC) Pole Manufacturing Plant in Jasper each year. 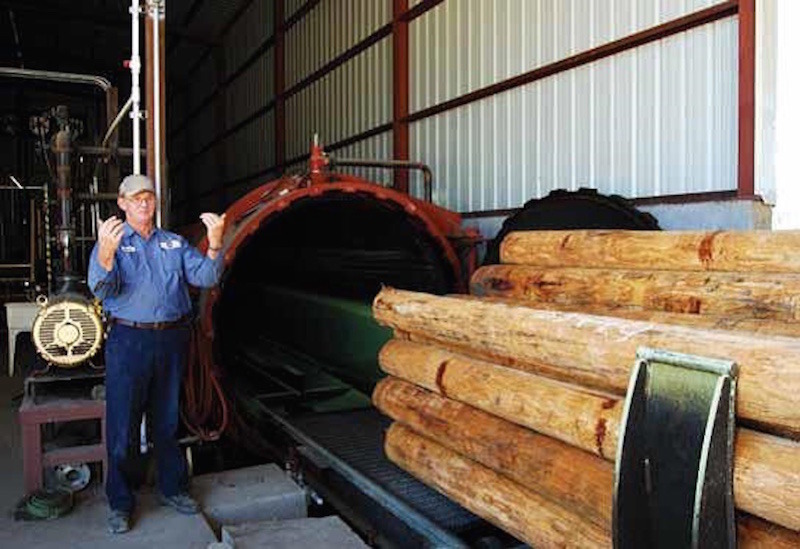 The facility's giant bark-peeling machine strips logs as long as one hundred feet to make forty-foot poles for utility lines. The plant produces more than 120,000 utility line poles annually. A successor to a facility TEC acquired in 1945, the plant stands as a contemporary monument to the creative use of Rural Electrification Administration (REA) authority and to the shared strength of electric cooperatives banded together to achieve the electrification of rural Texas. Rural electric cooperatives were primarily in the electricity distribution business. The cooperative purchased power from a generation facility owned by a power company and distributed it to its members. Power companies controlled the wholesale power supply and used that leverage to charge relatively high prices to the cooperatives for electricity and to suppress competition. The REA responded by using its lending authority for generation and transmission loans to allow cooperatives to build their own power generation facilities. Since many cooperatives were too small to build efficient generation facilities, they teamed up to get the capability to establish power generation. In 1941, seven Texas cooperatives formed the Texas Power Reserve Electric Cooperative, which later became TEC. Threat of collective action in power generation caused Texas Power and Light to decrease its wholesale power price by 50 percent after the formation of TEC. Later, East Texas cooperatives joined Tex-La Electric Cooperative, Inc., and East Texas Electric Cooperative, Inc., to create generation capability. The Jasper pole facility was the cooperatives' most creative use of collective power. 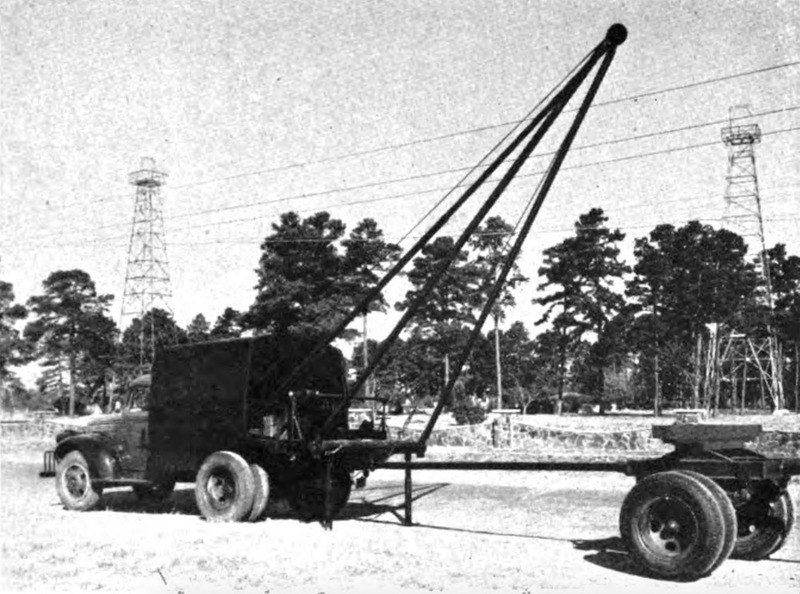 Throughout World War II, cooperatives struggled to get the materials they needed to construct and maintain electric lines to support their members, many of whom were directly involved in food production for the war effort. 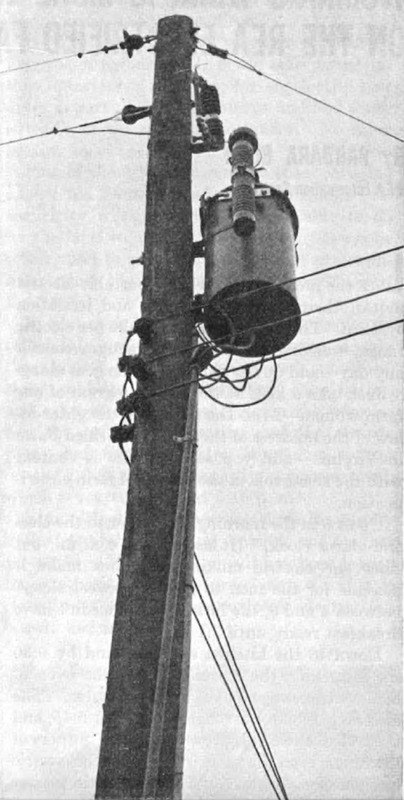 Unable to get the utility poles necessary to complete their lines, Texas cooperatives watched as private power companies dominated the supply. Texas Power Reserve approached the REA for a loan to buy two pole treating facilities in Lufkin and Longview to assure a reliable pole supply. Perhaps sensing that it was stretching the limits of its purpose, the REA reluctantly agreed to loan $342,000. Texas Power Reserve bought the two facilities, later selling the Longview property. In just three years, the loans were repaid and Texas cooperatives had secured a reliable pole supply. To meet increasing demand, TEC moved the plant to Jasper in 1964. The TEC pole plant remains busy today supplying the New Deal legacy of Texas rural electric cooperatives. Beginning in 1936, the cooperatives set poles and strung lines until, by 1965, 98 percent of Texas farms once without electricity had been electrified. In 2015, 64 distribution cooperatives and 11 generation cooperatives in Texas own over 320,000 miles of line (with a million-plus poles holding it) and serve three million members. Paul E. Anderson, “Texas Electric Cooperatives Pole Manufacturing Plant,” East Texas History, accessed April 21, 2019, https://easttexashistory.org/items/show/115.